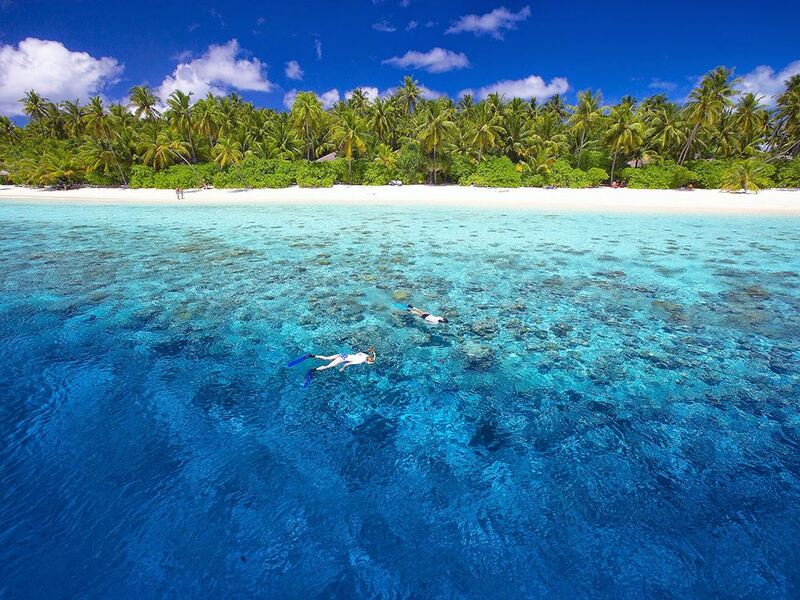 Out-of-this-world snorkeling on the island’s famous house reef – literally metres from the sandy beach and boasting a myriad colourful fishes! 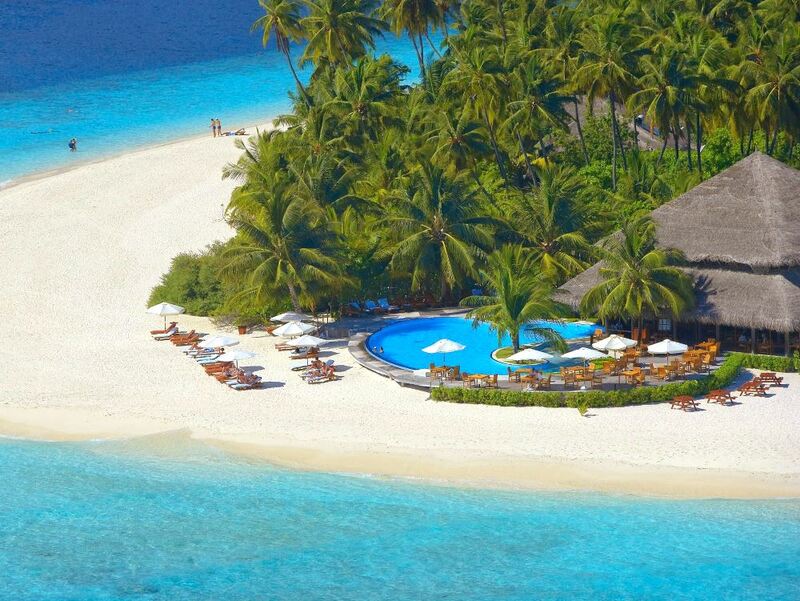 Filitheyo has to be one of the most idyllic, authentic and natural feeling islands in the Maldives – unlike many of the ultra luxury resorts in the Maldives it doesn’t feel manicured within an inch of its life! Instead it has a much more natural, slightly rustic feel. Many people are here for the snorkeling as the house reef is regarded as one of the best in the Maldives; others are here simply to relax or for romance – and Filitheyo certainly delivers on all these counts! This is one of the larger islands in the Maldives – about a kilometer long and 500m wide – and very beautiful and natural-looking too with lush green vegetation, many palm trees and colourful flowers. Romantic sandy pathways lined with palm trees form lovely avenues criss-crossing the interior of the island, hermit crabs scurry about leaving their unmistakeable little trails in the sand and there’re even fruit bats flying from coconut palm to coconut palm. But whilst there are gorgeous sandy beaches around 2/3rds of the island, perhaps the biggest attraction of Filitheyo lies just off the beach. The coral here may perhaps not be as extensive and pretty as at some other islands, but for quantity and variety of fish Filitheyo takes a lot of beating – clown fish, reef sharks, moray eels, lion fish, large schools of beautiful banner fish, trigger fish, puffer fish, squid, porcupine fish, giant blue and brown clams, butterfly fish to name just a few – not to mention turtles! To make it easier to access the reef dropoff, 8 exit points through the coral have been created making this a really user friendly reef for snorkelers. One side effect of all that coral is that you often encounter sharp pieces of coral washed up on the otherwise soft sand beach by the tide, so reef shoes or slops are a good idea. Perhaps the other highlight of Filitheyo is the food which attracts consistent rave reviews from guests! Buffets are the order of the day but these are a cut above the norm – fresh, tasty, lots of choice, constantly replenished, a changing menu each day and all well presented; check out the sushi station if you’re a fan of fresher then fresh sea food and the desserts and ice cream is to die for! The restaurant itself is comfortable in a rustic, casual way with largely sand floors so you can bury your toes whilst tucking in! and is set out in such a way that it never feels busy. At Filitheyo you are allocated your own table (with your room number on it) and your own friendly waiter for your entire stay - the benefit is that you will never have problems waiting for food and can go straight to your seat for dining and expect a speedy service. There are 2 bars on the island – the Sunset Bar next to the swimming pool is definitely the place to relax over a long cold drink whilst watching the sun setting over the Indian Ocean. After dark most people head to the Main Bar where, although there is no real entertainment to speak of, a pleasantly convivial vibe exists amongst the happy guests. If you’re looking for something a little more romantic then try the lobster dinner by candle light on the beach! This is a great place to simply relax although there are other diversions – you can canoe, snorkel, dive, windsurf or laze about...no motorized sport, so no noise and pollution. If the house reef isn’t enough for you, a snorkeling safari where you’ll be taken to 4 or 5 reefs that are even better than Filitheyo’s is a must! Then there’s the usual night fishing trip where any fish you catch can be served up for lunch to you the next day. If that sounds way too active, the Balinese therapists in the Spa will happily work their magic on you! 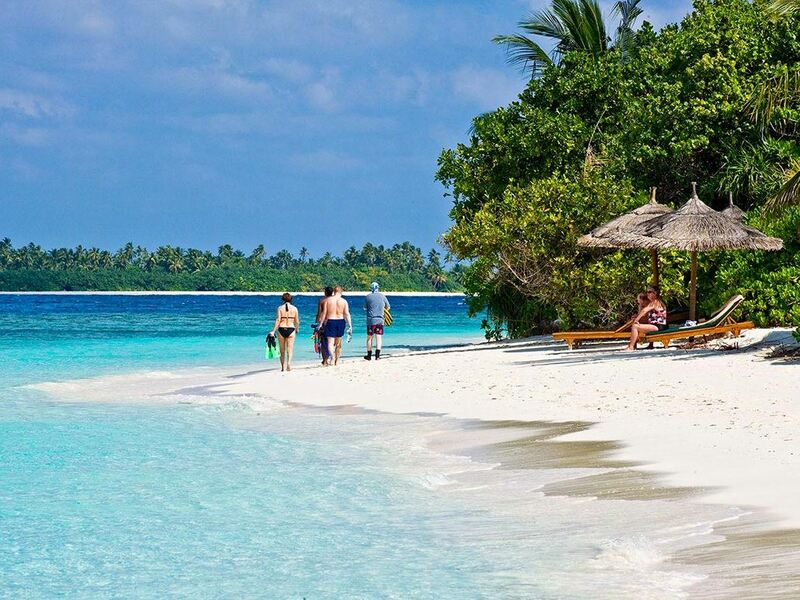 Perhaps the most memorable experience is the great excursion where you spend a morning on Hamza Island, Filitheyo’s own uninhabited desert island. You are dropped off there for a few hours with a huge hamper of food, soft drinks and wine. The island is small, tranquil and absolutely beautiful with the softest white sand and fantastic coral gardens - it is an incredible feeling to find yourself the only people on a desert island with nothing to be seen for miles! Alternatively you can head to Hamza for a romantic evening BBQ, again just the two of you being waited on hand-and-foot for a few hours!